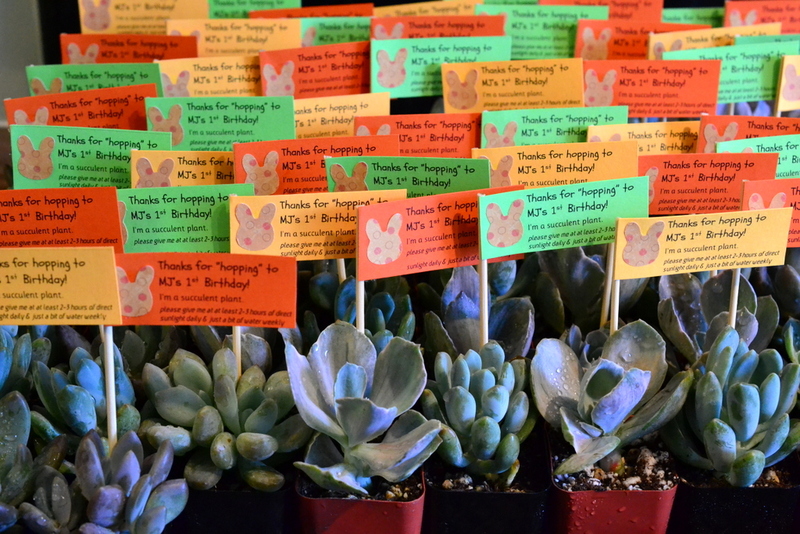 It was a pleasure to create party favors Nina, proud mama of MJ who is having his 1st birthday party. 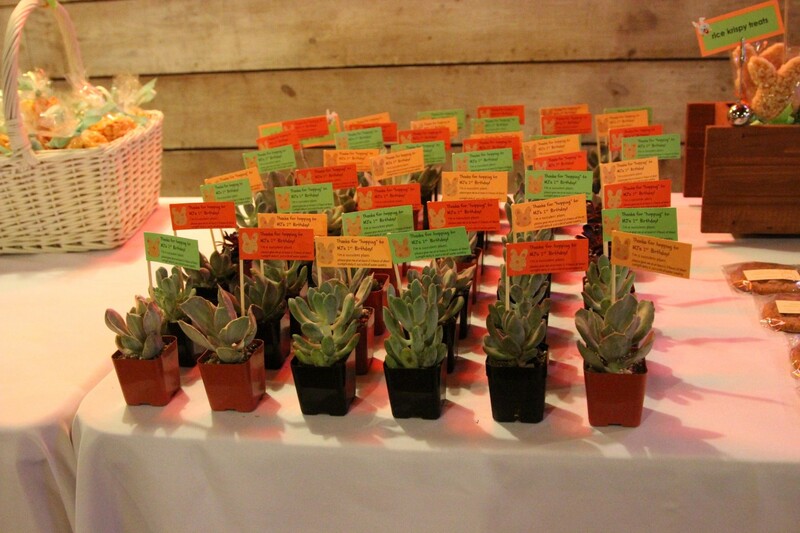 Over email, we discussed ideas and colors. 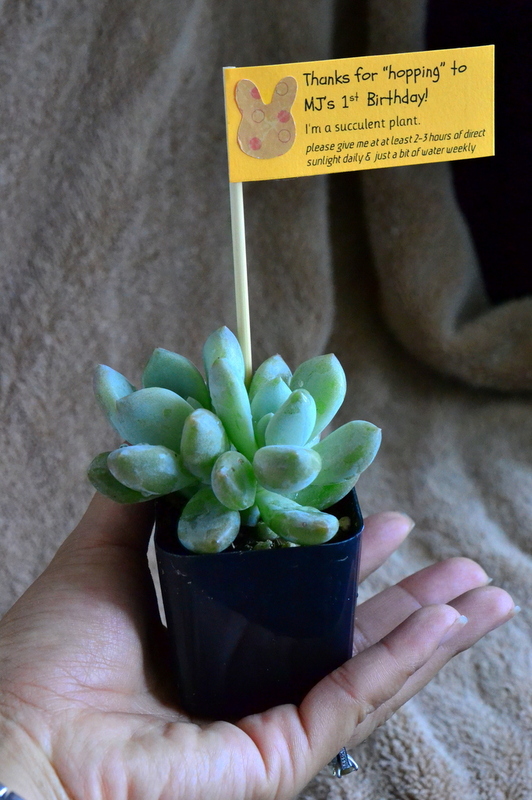 Nina emailed me color and theme inspirations, which was really helpful. 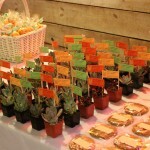 The party colors were bright and summery – orange, yellow and green. 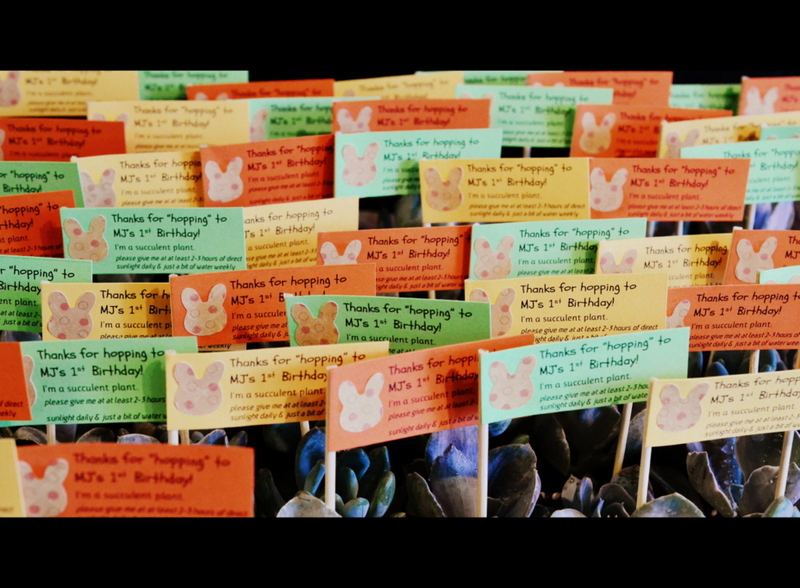 As MJ was born in the Year of the Rabbit, we created little bunny cutouts to match this theme in polkadot paper (another party element) to decorate the custom tags (by the way, we can make all kinds of custom cutouts and specialty tags!). 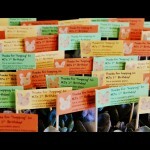 This would be a big gathering — 50 favors were needed. 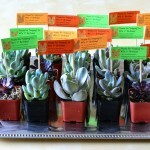 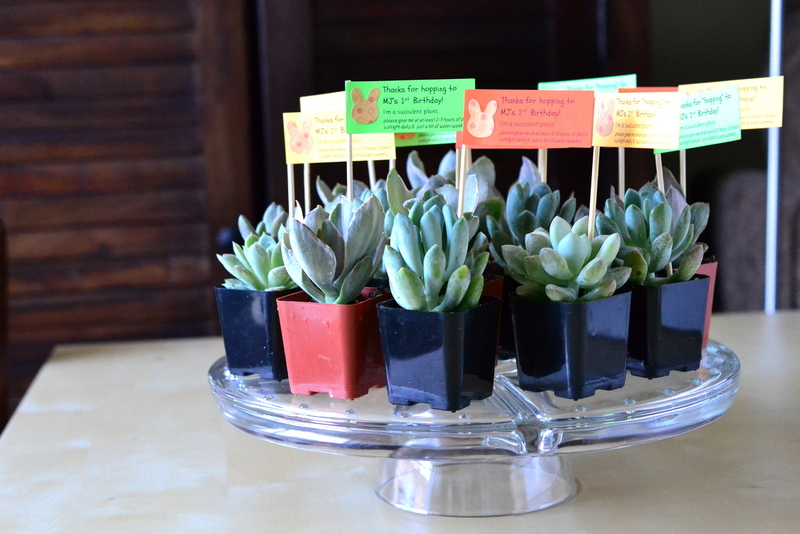 To accommodate the budget, the little 2 inch succulent plants were presented in their original containers. 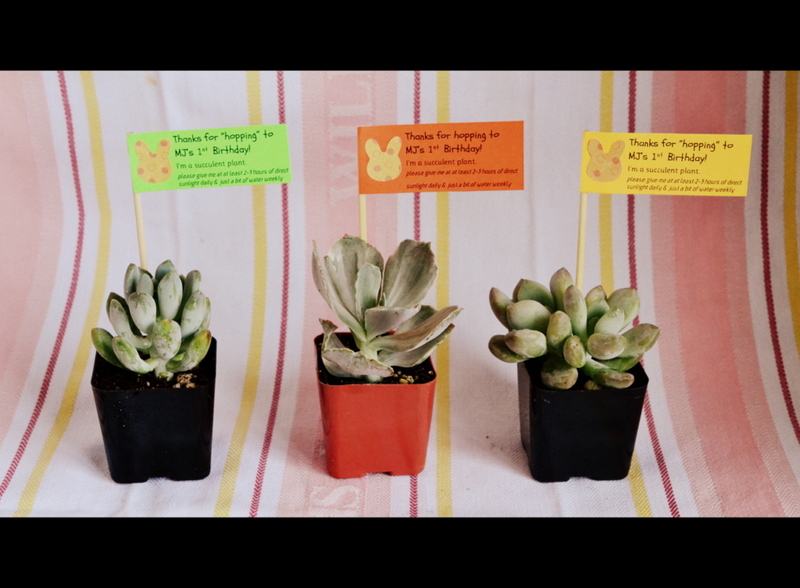 We just gave them some TLC, cleaning the container and grooming the plants. 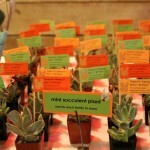 A bamboo stick holds the little custom tag. 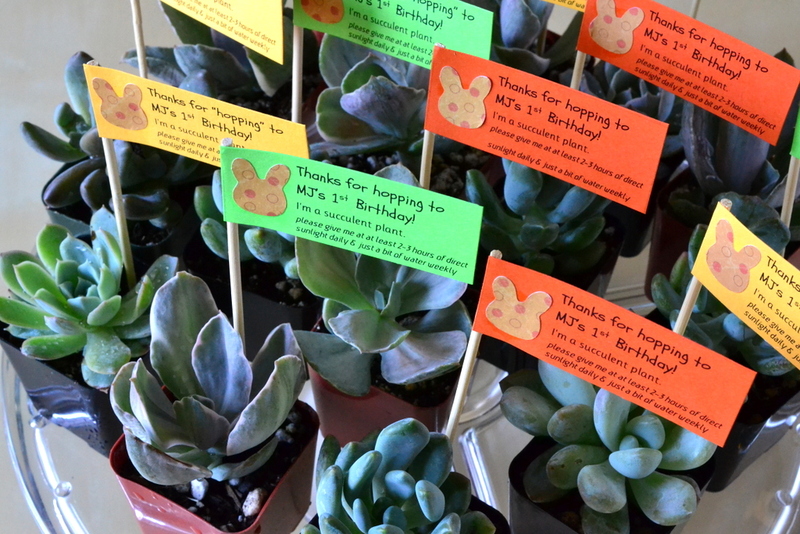 Nina’s sister Margie, who lives in LA, was kind enough to pick-up the favors and drive them up with her to the Bay Area to attend the party. 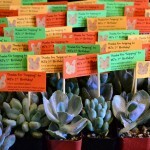 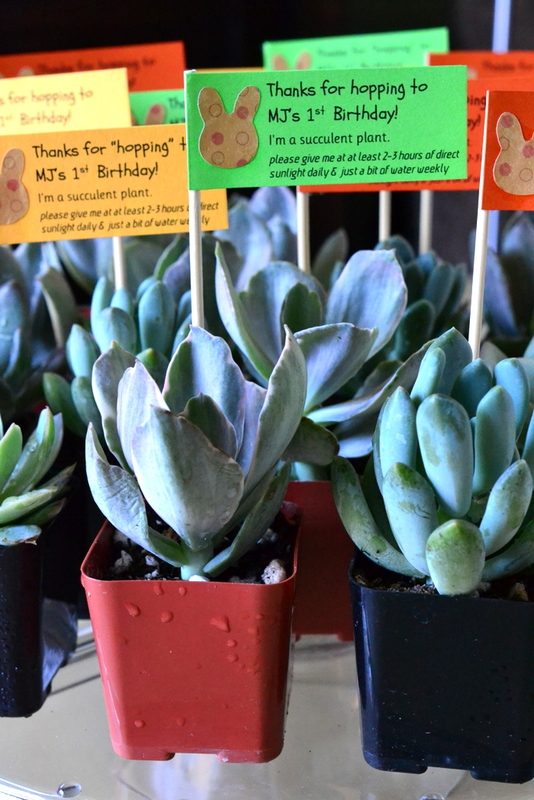 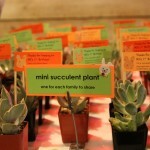 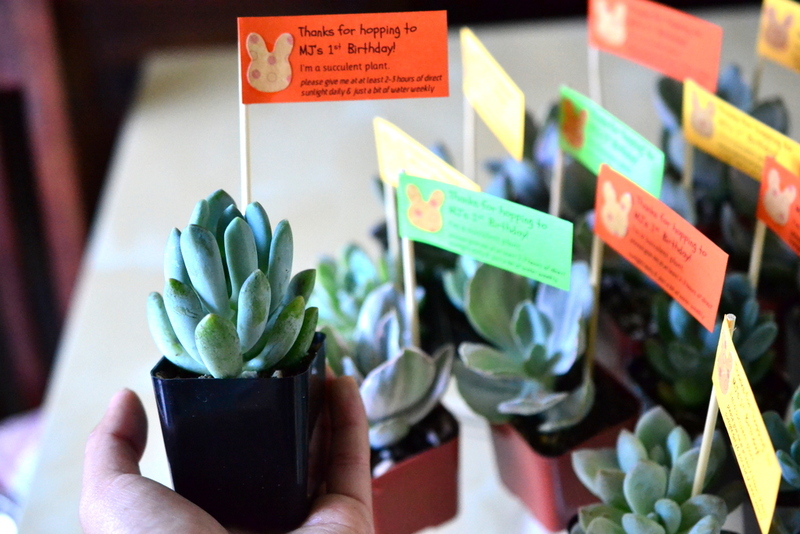 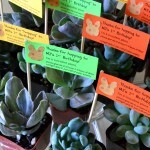 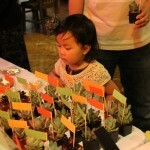 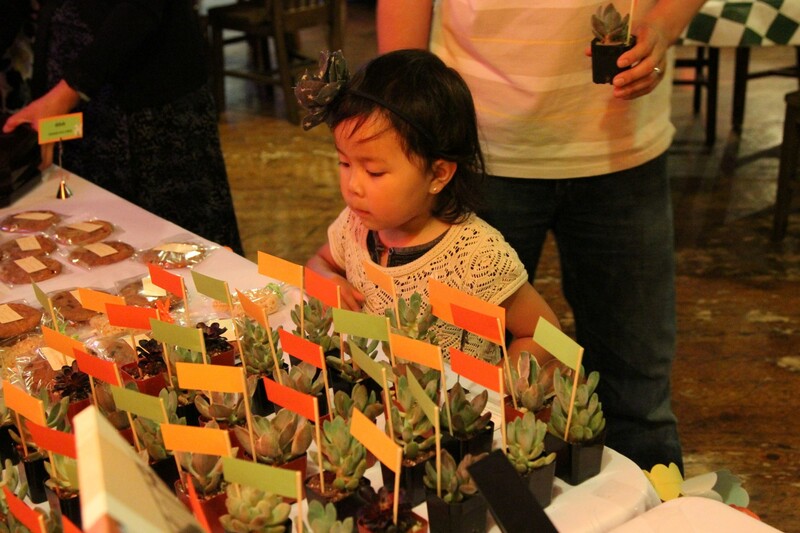 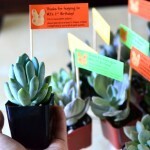 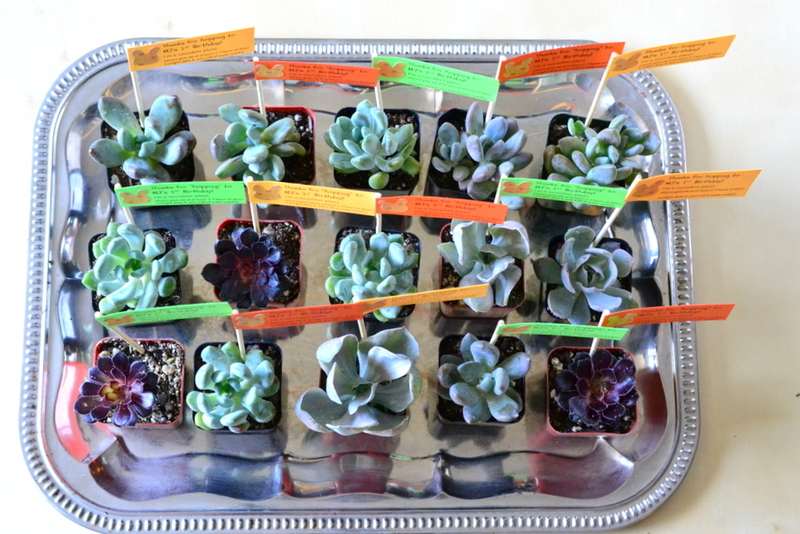 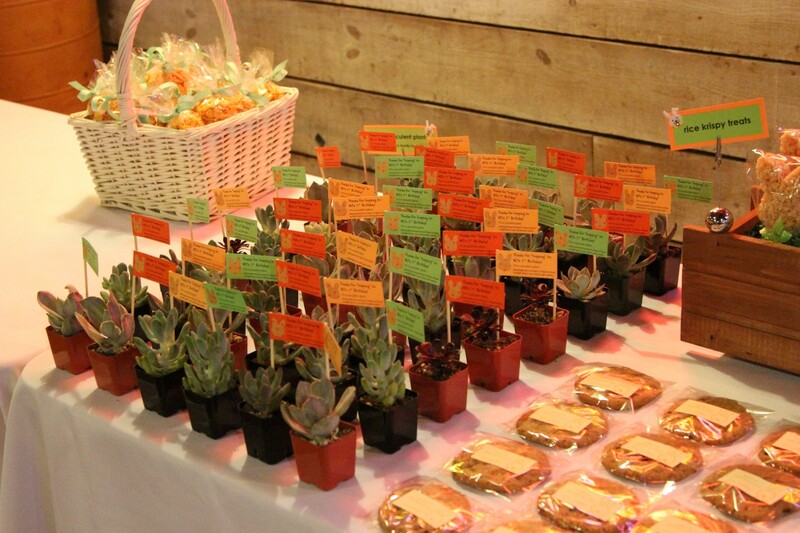 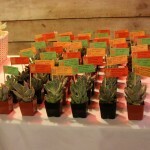 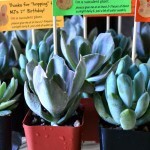 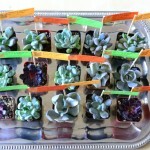 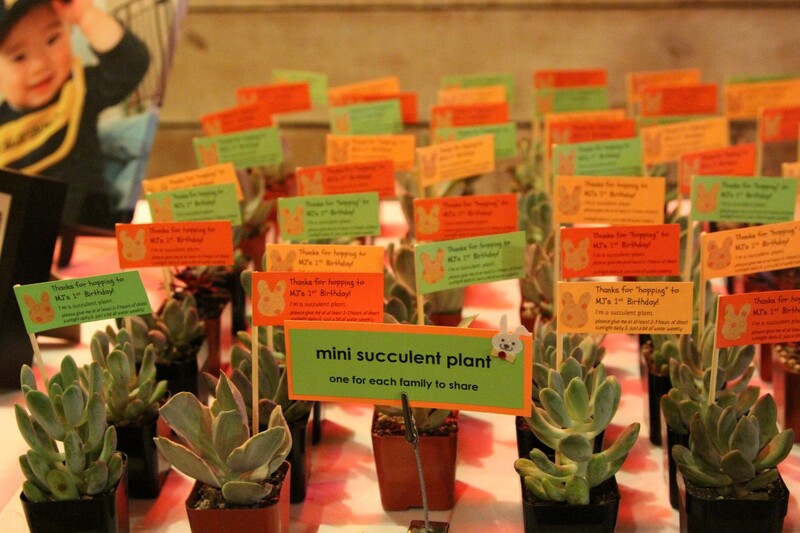 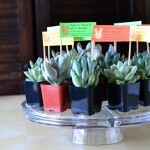 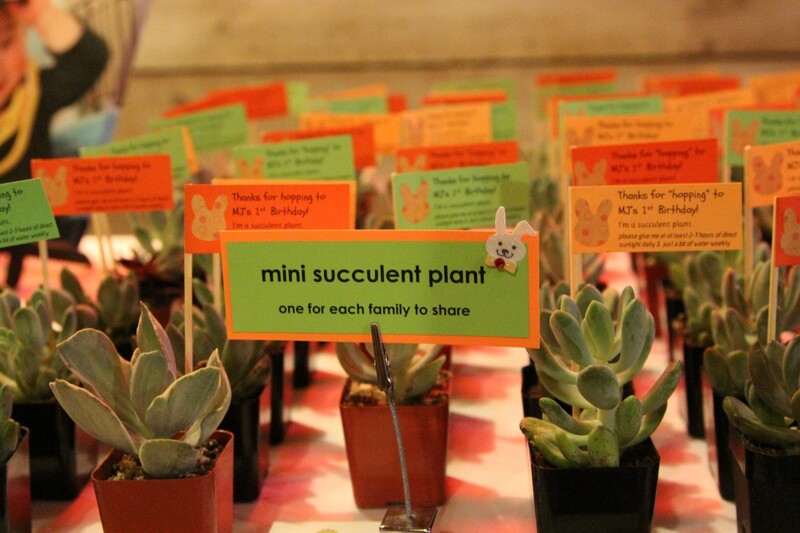 We hope that MJ has a wonderful 1st birthday celebration and that his guests enjoy the succulent plants! 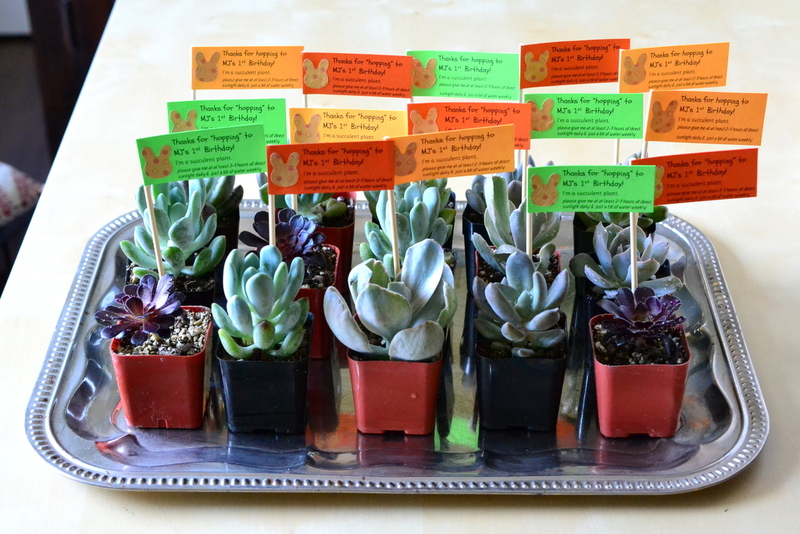 $3 for each favor as shown (in original plastic containers) with customized tag.